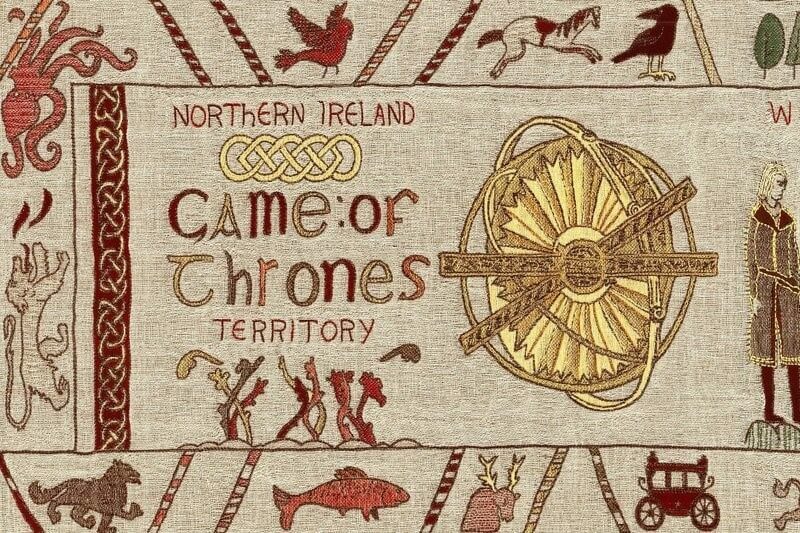 From Iron Islands to Winterfell, This epic tapestry brings to life events, locations and the story of Game of Thrones Tv series from Seasons 1 to 7, With further panels depicting the story of Season 8 due to be added to the tapestry in June 2019. 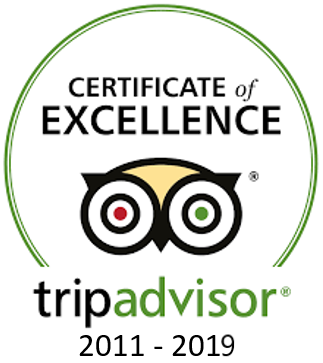 The tapestry was designed by hand but weaved by a state-of-the-art machine and hand finished in Northern Ireland by a team of 30 stitchers at the Ulster Museum and the Ulster Folk Museum replicating a look consistent with traditional hand woven cloth. Entry into the Ulster Museum is free and offers many other exhibits for exploring from the history of Belfast to a embalmed mummy from Egypt not to mention a dinosaur exhibit, Getting to the Museum could not be easier the Hop on Hop off tour bus stops outside at Stop 15, Disembark and enter the Museum, The tour bus picks up outside every 30 minutes. You can view Belfast Hop on Hop off Tour Route Here. Coming for a weekend with your friends? 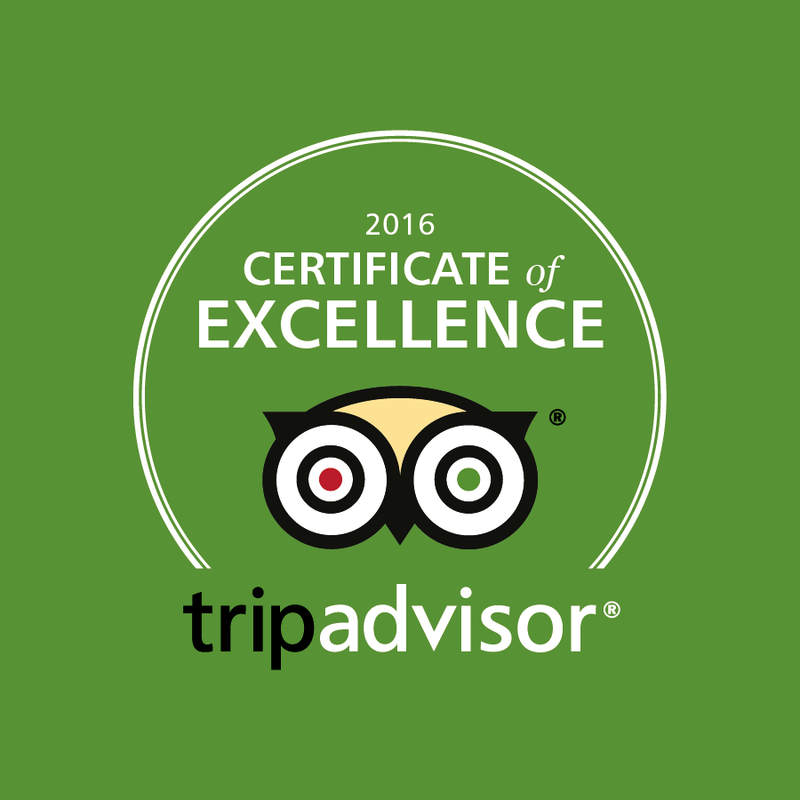 Want to know where to go for a drink and food? 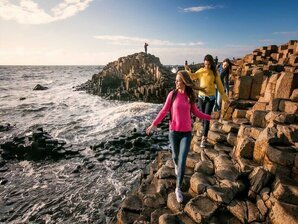 See Things to do in Belfast. Inspired by the hit show? 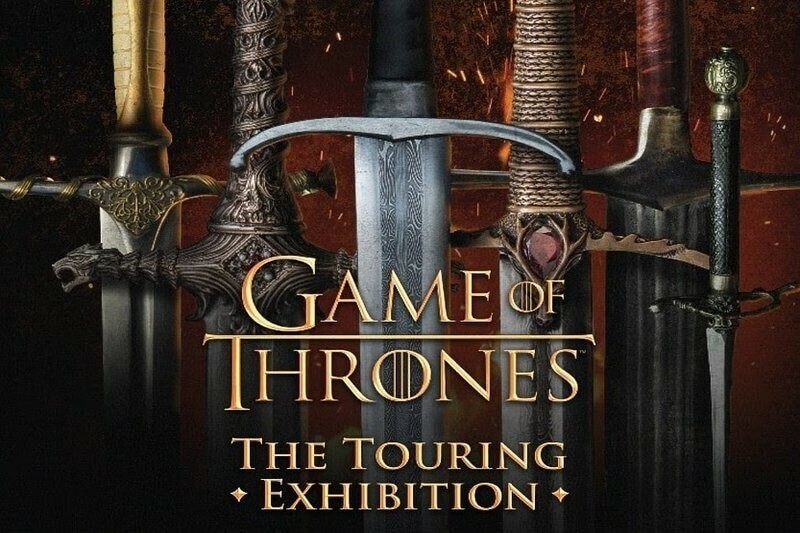 The touring exhibition will thrill you even more so, Filled with the breathtaking images and enthralling artifacts from the hit HBO series Game of Thrones. This all-new exhibition will drop fans into the centre of the Seven Kingdoms, for an up-close and personal look at authentic props, Costumes and set decorations from the show. This is a must do for any Game of Thrones fans coming to Northern Ireland, The TEC Building is a 2 minute walk from Stop 3 on the Hop on Hop off Belfast tour Why not drop by and experience the magic of the show, The open top tour bus will pick you up when your finished the offerings, We have a special discount code for the daily Game of Thrones tour departing from Belfast. 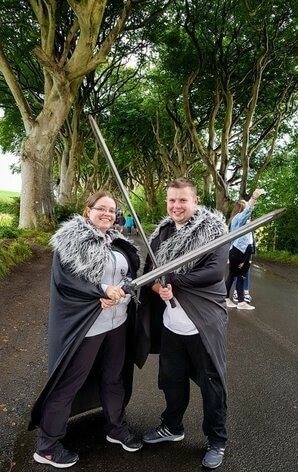 Being the current transport provider to HBO while filming the series here in Ireland the Combo deal Game of Thrones tour with Belfast City tour will get you to the exhibtion on the Hop on Hop off tour and also a full day away to the westeros to dress up in props and experience the backdrop HBO used while filming here in Ireland, Apply promo CODE10 at checkout and save 10% with us, You can pay for the touring exhibtion on arrival prices for adults (13+) £17.50 Children 5-12 £12.50. Fan of the hit movie? 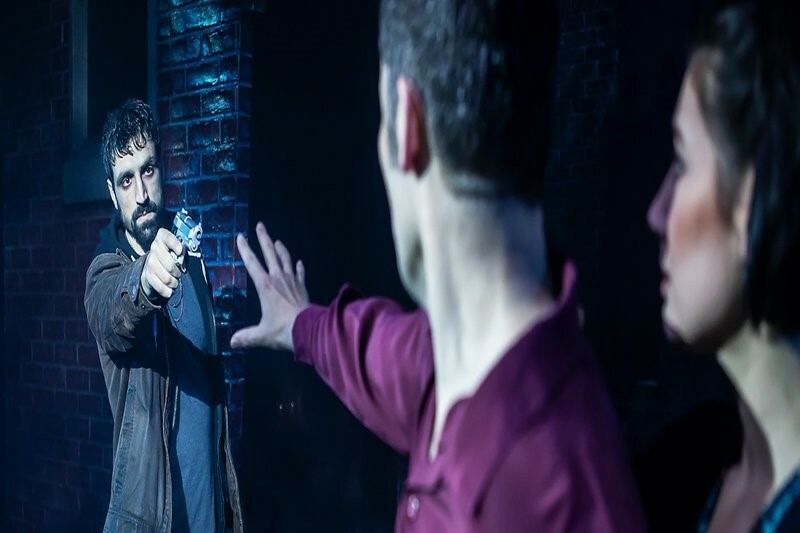 Ghost the Musical at the Grand Opera house is the show for you, The movie Ghost has proven to be one of cinema’s biggest all-time hits. Starring the late Patrick Swayze, Demi Moore and Whoopi Goldberg it was the highest grossing film of 1990 and won an Oscar for screenwriter Bruce Joel Rubin who has adapted his screenplay for this musical. The movie and the musical feature The Righteous Brothers’ Unchained Melody alongside many more terrific songs co-written by Eurythmics’ Dave Stewart, Relive the magic live at the Grand opera house experience the power of the music and live drama as the story unfolds before your eyes, The Belfast Hop on Hop off tour passes the Grand Opera house every 30 minutes 7 days aweek, Disembark at Stop 12 and head in for alive show. Shows start on Wednesdays & Thursdays at 2pm you can book your tickets online at the Grand Opera House.